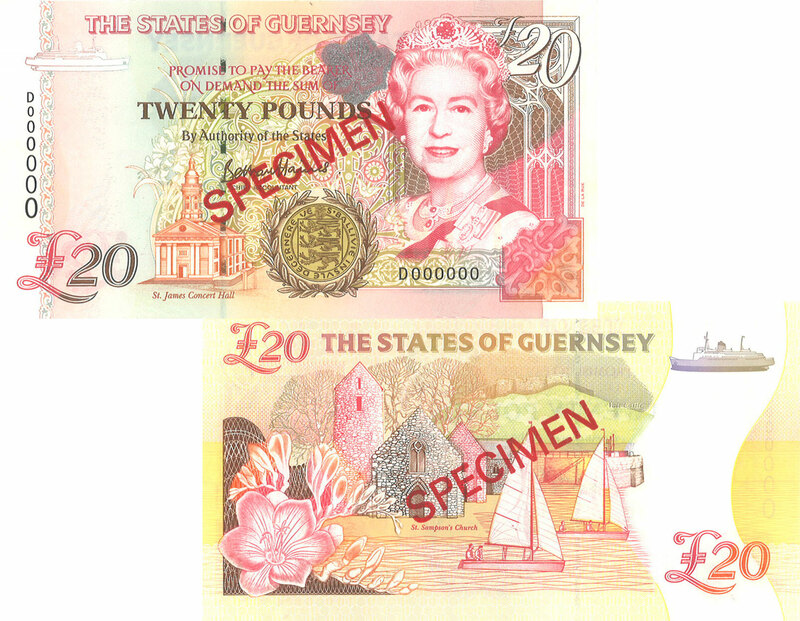 'D' Prefix Guernsey Bank Note. As well as Her Majesty The Queen, this note includes illustrations of St James Concert Hall, St Sampson's Church and Vale Castle. They have been designed and printed by De La Rue Currency, a company started by Guernseyman Thomas De La Rue in the 19th Century. The States of Guernsey is delighted to present a new version of the £20 to commemorate 100 years since the end of the First World War (1914 – 1918). Whilst the overall note design and security feature..